Christian Artists, Christian Bands, Christian music, Christian musicians, Christian worship, Christian musical groups, Christian rock, Christian heavy metal, rock and roll, christian rap, rap dance. "Praise the Lord with the timbrel and dance; praise Him with stringed instruments and flutes! Praise Him with loud cymbals; Praise Him with clashing cymbals! Let everything that has breath praise the Lord. Praise the Lord! (Psalm 150). " If your favourite Christian artist or Christian band is not listed above but you know the record label often artist information is published on the record company website. Occasionally sample MP3's are also available to listen to. CD Now: Find Music An All-Music search engine. Chart Attack! Links to charts on the Web. Christian Lyrics Online - Christian Lyrics Online. Christian Lyrics, CCM Music Online - CCM Music. Christian Music Bulletin - Canada's Christian Music Magazine since 1992. Guitar.net The novice or pro guitarist is offered a new chord each week. Free sheet Music for your church. Songs of Praise - Translations into Chinese, Spanish, Portuguese - more coming! Spoor 7 Dutch Radio An Evangelical broadcasting company. Netherlands based. of artists. Some Christian musicians listed. CHRISTIAN ARTIST:- Steven Curtis Chapman. Latest Album is All Things New. "Steven Curtis Chapman is blazing a brand new trail of diverse pop gems on ALL THINGS NEW." said Ms Christa Farris from CCM Magazine. Award-winning singer/songwriter Steven Curtis Chapman released ALL THINGS NEW, his 14th record with Sparrow Records, on September 21, 2004. Coinciding with the new project, Chapman commenced his U.S. "All Things New Tour" in October 2004 and will tour through to April 2005. ALL THINGS NEW is not only the project's title, it's also the theme that interweaves the album. Utilising his unique skills in observing daily life, plus Scripture reading and prayer, Chapman's conception of ALL THINGS NEW was created. It is also inspired by sermons from his pastor, and the writings of John Piper and Philip Yancey, well known christian authors. Sharing his thought process on the creation of his 14th recording in 17 years in the music business, Chapman stated, "Lately I've come to realise that God will forever be making all things new. I'm only starting to know who God really is because He continues to reveal more and more of Himself to me every day. He gives us new seasons, He gives us a new 24 hours each day, He gives us a new sunrise. All of these things continue to remind us that He is the renewer of all things." Praise God for Steven Chapman and his christian influence across the world. Lives will be changed and souls kingdom bound instead of hell bound. All Things New, Angels Wish, Believe Me Now, Big Story, Coming Attraction, I Believe In You, Last Day On Earth, Much Of You, Only Getting Started, Please Only You and Treasure Of Jesus. Latest Album is The Altar and the Door. Lead Singer, Mark Hall started his career as a Youth Pastor, but it's amazing how God leads. Key members of the Band include Andy Williams on Drums, Chris Huffman on Bass Guitar, Megan Garrett (no relation to Peter Garrett - ex Midnight Oil - Australian rock band) on Keyboard and Vocals, Melodee "nice name" Devevo on Violin and Vocals, Juan Devevo on Guitar and Vocals , Hector Cervantes on Guitar and of course Lead Singer, Mark Hall. Commenced gigs as a local band in Atlanta and has moved on to become well recognised across America and the Western World. Casting Crowns is based in Atlanta, Georgia, USA. Well Known for Rock / Pop Christian music with thought provoking themes and powerful Lyrics. 'Casting Crowns,' 'Lifesong,' 'Live from (you guessed it) Atlanta' and "The Altar and the Door"
The Altar and the Door maintains the down to earth dedication to ministry that has been a critical part of their music. We continue to hope and pray "Casting Crowns" continues to have a profound influence for Jesus Christ across the planet. Best wishes for 2008 from www.askthebible.com. Prior Album Bethany Dillon (self titled). Latest Album is So Far: the Acoustic Sessions. Bethany Dillon's soulful alto voice does appear suited to an acoustic setting. This album showcases Bethany Dillon in a stripped down performance of her fans favourite songs. In addition there are covers of "Hero" from the Narnia film soundtrack and also a Beatles song included. Bethany Dillion is the middle child in a musical family. 15 year old Bethany has been singing since she could speak. Her songwriting style and ability does reveal a maturity beyond her young 15 yo age. A reasonable voice equally at home amongst soaring strings or crashing guitars. Her message is one of encouragement and understanding for those women and men on a journey with God. Thoughtful, moving, poignant and enriching songs. Bethany Dillon is one artist whose self-titled debut looks into the themes of the modern Christian's heart and journey to Christ's kingdom from the first song. In her songs 'Beautiful,' 'Great Big Mystery,' and 'Revolutionaries' Bethany illustrates good song writing ability and accessible acoustic guitar sound allows music listeners of all ages to appreciate her God given talents. I'm sure increasingly better songs to come from this girl soon to be woman in the future. "All I Need" illustrates her ability and is my favourite song on the album. Album Songs include A Voice Calling Out, Aimless, All I Need, Beautiful, Exodus, Faithful and For My Love. In 1995 a fresh-out-of-college band called "Jars of Clay" hit the ground running. First single, "Flood", smashed the Christian/mainstream radio barrier and set an excellent standard for Christian music heard today. Jars of Clay were unaware at the time that their self-titled debut would eventually sell over 2 million copies. Their album gained them a double-platinum status, more than any other Christian group or artist at the time. Their popularity and high standards of musical excellence have continued. The Band's Name:- 1 Corinthians 4:verse 7 explains how the group adopted their name: "We have this treasure in earthen vessels (Jars of Clay) to show that this all surpassing power is from God and not from us." Significant is the word. After almost 14 years, many albums, multiple awards and honours, and countless concerts, Jars of Clay has successfully won a place in the hearts of fans and listeners across the world. Show you Love song. Dan Haseltine vocalist said "this is a song we wrote as we were looking at two things - the African HIV / Aids emergency and the current rise in worship music. We have come to know that worship is formative." This is a collection of 14 tracks which showcases the musical career highlights of the multi platinum selling Jars of Clay, since their very first hit "Flood", way back in 1995. Greatest hits is the best of the best ofa truly excellent Christian Band. Well worth a listen. Latest Albums are Devotion and GO. 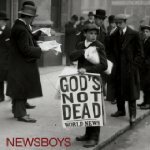 With over 5 million album sales, nineteen No 1 radio singles, four Grammy nominations, and one of Christian music's most captivating live shows, Newsboys returns with a new studio album, called Devotion. 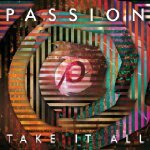 Following the acclaim of the RIAA Gold-certified, ADORATION: THE WORSHIP ALBUM, this album continues the worship experience with songs like 'Presence', 'Strong Tower,' and others. DEVOTION celebrates the congregational and community aspects of worship, enlisting a group of christian artists to help create the album. Devotion includes guest appearances and collaborations from Rebecca St. James, Tim Hughes and Delirious (UK). Newsboys played at Hillsong Church, Sydney, Australia on Sunday 16 April 2006. Truly Excellent Guys! "Blessed Be Your Name" sung, My favourite. God Bless Your Ministry !!. Devotion Album Songs include Devotion, I Love Your Ways, Presence My Hearts Desire, Strong Tower, God Of All Nations, Blessed Be Your Name, The Orphan, Landslide Of Love, Name Above All Names and When The Tears Fall. Australian youth continue to produce some of the most influential worship music in the world today. Planetshakers are at the cutting edge. This album was recorded live at their January 2004 conferences, where thousands of young people united to worship their Lord Jesus as their Saviour. Energising songs from their previous release, RAIN DOWN, it also features 'Running After You' and six brand new songs to listen to carefully. Relient K's fifth studio album The Bird and the Bee Sides has been released at a current peak for the band. The Bird and the Bee Sides shows why Relient K are an important Christian music phenomenon. 13 Brilliant new tunes plus 13 remixed tracks including and acoustic version of the hit single: "Who I am hates who I've been". MMHMM songs on MMHMM include "The One I'm Waiting for", "Be My Escape", "High of 75" and "I so hate Consequences". Latest Album is HEALING RAIN. Praise & Worship fans will rejoice. This has been an eagerly awaited studio album called Healing Rain from Michael W Smith. Healing Rain skilfully blends pop sensibilities with a heart for worship. Michael W Smith communicates God's healing love in songs "Here I am", "Healing Rain", 'Live Forever" and other songs. Latest Albums are The Beautiful Letdown and Nothing is Sound. Switchfoot have toured constantly since 1997 and has become a major Christian band to break into the mainstream, with THE BEAUTIFUL LETDOWN album going gold. Switchfoots' film song credits include A Walk To Remember and Spiderman 2 and with regular appearances on US talk shows. These have provided amazing opportunities to share their faith to non Christians. Pray for their continuing christian influence across the world. The Beautiful Letdown is possibly the most anticipated album of 2003. Switchfoot have been steadily built up a loyal and passionate fan base, and their songs on the WALK TO REMEMBER soundtrack have won them many supportive fans. This release reflects Switchfoot's commitment to creating perfect pop rock songs with intelligent christian lyrics that go far beyond the boring. "The way I see it, hope means nothing at all if hope doesn't reach to the core of our need. The whole meaning and hope invades our greatest and worst moments." - Jon Foreman (Switchfoot). Beautiful Letdown Album Songs include Meant To Live, This Is Your Life, More Than Fine and Ammunition. Prior Albums are WIRE and LIVE WIRE and WHATEVER YOU ARE . Three years in the making, Third Day's seventh release will remind you why you were impressed when you first listened to this awesome band. WIRE crashes and swirls with Third Day's trademark southern-tinged rock, piercing lyrics, and Mac Powell's quality voice. WIRE songs include Til the Day I Die, Come On Back To Me, Wire, and I Believe. Third Day's concerts were in Sydney, Australia in early 2005 were successful and well received. Revelation is Third Day's 11th Studio Album. It showcases Third Day's energy with a taste of Southern rock and lyrics that explore a fairly large range of Human experience. Well worth a listen. CHRISTIAN ARTISTS:- Darlene Zschech & Hillsong team. Latest Albums are FOR ALL YOU'VE DONE , KISS OF HEAVEN and ULTIMATE WORSHIP Vol 1. In awe of you, Majesty, For all you've done. These were the words that echoed throughout the Sydney Entertainment Centre in February 2004, as Hillsong Church members gathered from across the city of Sydney for the recording of their annual live worship album. Ms Darlene Zschech and the Hillsong team, together with a choir of over 500 voices, led the large congregation in an awesome inspiring time of praise and worship. 15 songs were recorded on the night, and the album is one of the best from Hillsong Music. FOR ALL YOU'VE DONE songs include For All You've Done, One Way, Evermore, With All I Am, Sing Your Love and Hallelujah. christian artists, starfield, jesusculture, guitar rock bands, christian rock, christian heavy metal, christian bands, christian music, bands, christian singers, mercyme, steve fee, robbie seay, tenth avenue north, need to breathe, december radio, steven curtis chapman, casting crowns, newsboys, matthew west, selah, christian musos, christian lyrics, greg howlett, christian melodies, lyrics, christian youth groups, church music groups, church music, christian soul music, christian praise, praise to Jesus, praise the name of Jesus, christian artists, avalon, christian musicians, christian worship, christian musical groups, christian rock, christian heavy metal, rock and roll, christian rap, rap dance music, holy praise, sing to the lord, holy praises, the gospel station, christiannetcast, Christian netcast, christian hip hop, whitedoveradio, woak radio, delirious, darlene zschech, hillsong, switchfoot, delirious, third day, amy grant, maranatha, mercy me, mercyme, petra, raymond and co, matt redman, michael w smith. We hope the information on this site is of use to you. 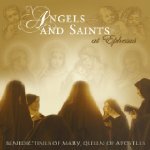 To BUY MUSIC click our sponsor top20christianbooks.com. Our aim is to support Christian Bands worldwide so that all people may hear the love of Jesus Christ through christian music thereby accepting the need for a commitment to Jesus Christ to obtain eternal life and escape eternal pusnishment in Hell. If you wish to bookmark this site or better still link to http://www.askthebible.com your very welcome. To swap links with Ask the Bible.com please email us.